No scheduled public tours in December and January. 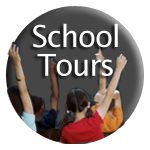 We are available for private tours and group bookings all year round. To book a group email lorcan@1916rising.com or call 00 353 86 858 3847 (086 858 3847 from within Ireland). 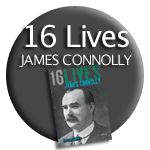 In 1916 a small band of armed insurrectionists declared Ireland a Republic. 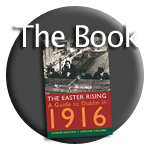 This event is known as the Easter Rising, a violent battle which resulted in many deaths and the destruction of many parts of Dublin. Author and historian Lorcan Collins will take you to the relevant sites of the Rebellion in Dublin, Ireland, to give you an understanding of this historic occasion which precipitated the formation of the Irish Republic. Have a look at the complete details of the tour schedule for information on the times and dates for this season. 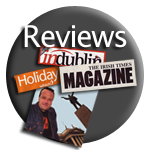 We hope you enjoy the site and come to Dublin to join us on what many are calling Dublin's best tourist attraction! We appreciate any comments, suggestions or questions you may have regarding the site or the tour. by email lorcan@1916rising.com or call 00 353 868 583 847.